Homemade skin care recipes are becoming very popular. Bath salts, body scrubs, masks, hand creams, lotions, and lip balms are fun to make, inexpensive, and can be the perfect gift. There are so many wonderful DIY skin care recipes to choose from but for now we are going to keep the selection holiday themed. Since these potions are made to order they are always fresh and you can personalize them to make them special. By making your own products, you can make as little or as much as you need and most ingredients can come straight out of your kitchen! One very important reason for making your own blends is that you are completely in control of ingredients used in the prep. Making handcrafted products not only can be very budget-friendly but you know the exact source of your formula. These easy recipes can be left simple or you can add your own unique blend and smell. What better way to treat yourself or give a treasure to remember! Along with the cold season come all kinds of dry skin problems. What could be more luxurious and nurturing than to pamper your hands with special TLC. Using a double boiler, melt beeswax and coconut oil. Blend in glycerin and heat till mixture is smooth. Remove from heat and break open Vitamin E capsules and stir in contents. Add scented lime oil and food color. Pour into a decorative glass jar. 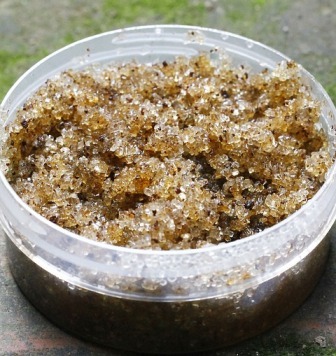 Easy energizing body scrubs will help scruff away dead cells and leave you feeling refreshed and energized. Do it yourself skincare recipes are just as luxurious as any quality spa experience. 1 Cup choice salt such as Sea salt, Mineral salt, Dead sea salt …. Choice carrier oil such as Sweet almond oil, Grape seed oil, Macadamia nut oil…. In a bowl add essential oil to salt and stir thoroughly. Moisten and stir in oil to mixture until thoroughly combined. Sprinkle crushed candy cane on top and place scrub mixture into an airtight container. To use -Gently massage onto skin to exfoliate and invigorate. Rinse well. Relax with a soothing, fragrant treatment. Making bath salts is quick and it will help soothe soreness and tired muscles. Mix salts together in bowl. Blend in baking soda. Add peppermint oil. Divide mixture into 2 bowls. Add a few drops red food coloring to 1 bowl. Second bowl remains white. In glass jar- Create slanted layers of each color until jar is filled. Lightly top with sugar. Store in an airtight glass jar. Enjoy some quiet time- home spa recipes can easily turn a regular bath into a deluxe spa treatment. Dissolve a scoop of salt mixture under running water. *Peppermint gives a soothing and cooling effect. Invigorate your tired feet with this very easy foot scrub that will remove dead cells, improve circulation, and smooth roughness. Pour sugar into mixing bowl and gradually add oil until you have a moist grainy consistency. Add essential oils and peppermint. Pour contents into decorative airtight glass jar. *The menthol in peppermint is soothing and energizing. It also has strong healing qualities. Homemade lip balm recipes help to treat dry, sore or chapped lips. Keep lips protected, luscious and moisturized. Chocoholics dream! Place Beeswax in a heat safe glass container that can be placed in a double boiler or saucepan and melt beeswax over low heat. Blend in the oils. Remove from heat and add chocolate and peppermint. Pour mixture into new or re-useable old balm pot or lip tubes and place in refrigerator to cool and set before covering. Blend all ingredients together until smooth. Apply to face, and neck, avoiding the eyes. Leave mask on for 15-20 minutes. Rinse with warm water. Pat dry. Flavonoid-rich dark chocolate helps improve and protect skin. The best benefits come from dark chocolate with at least 70 percent cocoa content. Cranberries are rich in Vitamins A and C.
Manuka honey- This type has a higher percentage of nourishing ingredients and healing properties. Yogurt is a great natural exfoliate. Pamper yourself or someone special with homemade skin care recipes – Your own beauty spa -No Appointment Necessary!